If you lose a key employee what impact will it have on your business? 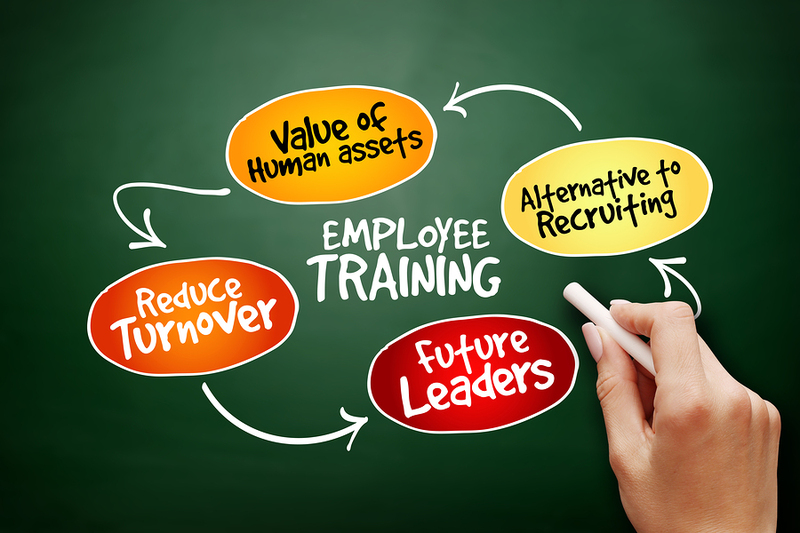 Don’t you agree that Employee’s are your most valuable asset? So what can you do to retain them and mitigate human capital risk? Don’t hire out of desperation Do not just hire an employee because you needed someone to fill the position yesterday. That is what temporary employees are for. Test skills If you want to decrease employee turnover, you should assess skill by testing competencies. This is one of the tools that will help you determine whether you have found the best fit for each position. Profile behaviors The job description should include more than tasks. You should identify the behaviors of your best employees to ensure you are hiring the right fit. Pay should be competitive If you’ve gone through the trouble of finding the right person for the job, you want to make sure you can get them to say yes. Benchmarking the jobs and identifying competition for your labor market is an essential prerequisite. Say Thank You Encourage your employees by saying thank you and telling they are doing a good job. Conduct regular performance reviews. When management communicates with employees they feel more involved and appreciated. Conduct exit interviews When an employee leaves it is very helpful to know the cause of why the employee chose to leave. Knowing what problems to address, and taking action on them, will eventually reduce turnover. Start by measuring turnover Benchmark the cost of turnover against industry competitors. Then calculate the cost of replacing and training new employees to show the dollars saved and the cost that could have been avoided by turnover. Determine where to focus retention efforts You should identify groups of employees whose ability to achieve would significantly impact your organization. What would be the cost of to your organization if you lost critical knowledge through attrition? Change your recruiting strategies Focus on groups or individuals in key roles. Identify the skill gaps and the behaviors that make them essential to your organization. Conduct a job analysis and write job descriptions that match your best talent. Conduct a salary survey Identifying similar occupations in your labor market area. Identify what your competition is paying. Ask your employees why they stay? Analyze job satisfaction studies to determine what is motivating them. It may not be money, but you need the answer to retain top talent. Finally, use a strategic approach to aligning employees with business. Identify the best behaviors for engagement. Weigh the gaps between talent capabilities and business goals. Address your selection/staffing process and the compensation and incentives paid. Don’t let valuable employee age out or jump ship for a dollar. Put strategies into play to reduce turnover for your organization. Immigration Changes: Are You Ready? It’s really interesting to read about some of the things that a business can do to help prevent high employee turnover. It makes sense that things, like hiring out of desperation or offering low pay, can result in high turnover due to better opportunities elsewhere. This is definitely something that any company, no matter the size, should keep in mind because along with quality benefits and offers, interviewing leaving employees and good HR consulting could help result in a much healthier business operation. All the tips that are mentioned above are really useful, i think its gonna help many peoples like me. Thank you for sharing with us. Thank you for all the information on how to reduce turnover. I like that you talked about not hiring out of desperation but making sure that you hire someone who is looking to stay and that will make a positive impact on the company. My wife wants to be an HR representative one day, and I think would really benefit from knowing this since she will be one of the people who determine who is going to make the job and who is not. With that being said, it might be hard to reject someone when you need the spot filled, but waiting a couple weeks longer to find the right person would be worth it. Thanks again!